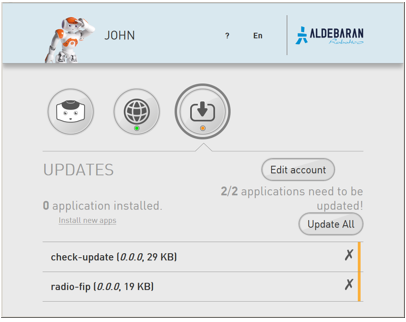 Updates section allows you to set and manage the link to the Aldebaran Cloud. On a computer connected to Internet, display the NAO Web page. For further details, see: Accessing the NAO Web page. Click the Edit account button. 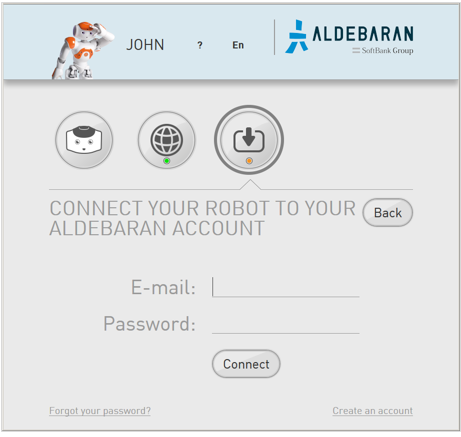 Type the Email and Password of your Aldebaran Cloud account. Make sure your NAO is turned on and connected to the network. Press its Chest button once. If NAO says its name and IP address, connection is OK. Applications needing to be updated appear. Make sure Autonomous Life is switched off. For further details see: Switching Autonomous life on and off. you want to retrieve the last release of already installed applications. you have selected new applications on the Apps 2.1 Store. 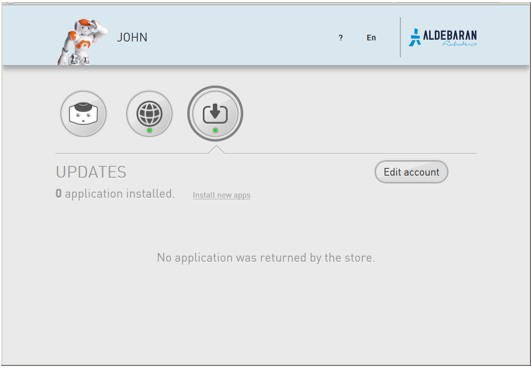 For further details, see: Selecting applications to install. This automatic download is the result of a a setting defined on the Apps 2.1 Store. For further details, see: Setting automatic system update. 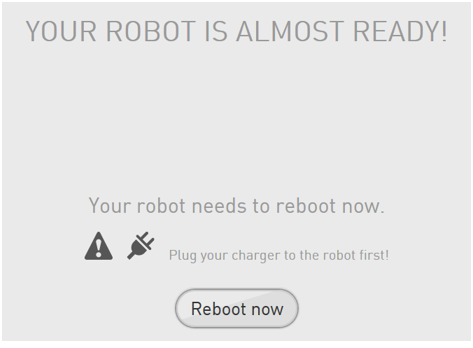 Important: make sure the robot battery is fully charged: a power shortage during upgrading could leave the robot in a fatal state. Tips: if your battery has a limited autonomy, you should leave the charger plugged during the upgrade. However it could be wise to order a new battery. Click the Reboot now button. The boot process can take a long time. For further details, see: Upgrading.